Features of the WEM MIDI Interface. Scans faster than magnetic systems - eliminates response lag, gives smoother feel to player - this came to our attention when players complained of something 'not right' with their contact-less systems. Contact system actually gives far fewer spurious 'grace-notes' than magnetic system, especially useful for computer music recording. Silver spring contacts are easily repairable with craft skills - low tech system - no specialist electronic parts. Interface can be set to produce a MIDI test signal output on channels 1,2 & 3 so MIDI connections can be tested independently of the contacts - also useful for testing and setting up expanders. Interface has 3 contact recognition system on chords so all notes play together giving crisper chords - easily cancelled for individual contact adjustment during installation or service. Interface has 'activity' led to show when a contact is made or MIDI is sent. Contacts arranged in intuitive octave groups of 12 notes. (Bass octave, Chord octave and 5 right-hand octaves - 12 x 7 matrix). Low power consumption means easy conversion if required for a wireless MIDI system. Power box has 2 jack sockets on it which may be used for footswitches to control extra functions on the interface which include :- Sustain, Pitch-bend, Right-hand off, Right-hand attack increase, Second expander/extra instrument layers, Bass note shift. Interface covers Piano Accordions, Diatonic accordions, Melodeons and straight keyboard. Every interface is supplied with installation instructions and full circuit diagrams and technical spec are available. No external panels to spoil appearance of accordion only DIN socket for connection to power box. Robust, short circuit proof power supply. Simplicity brings excellent long term reliability. Up to 2 of 9 on board functions available for use with footswitches. - These functions for live use include: Bass range shift, Right-hand octave down, Right-hand pitch-bend, Right-hand sustain, Right-hand attack, Extra channels outputs. 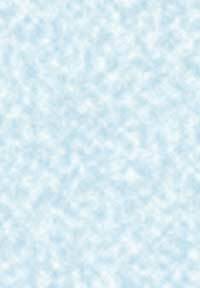 The interface comes on a small 45 x 90 mm high quality printed circuit board. Call us 020 8679 5575. 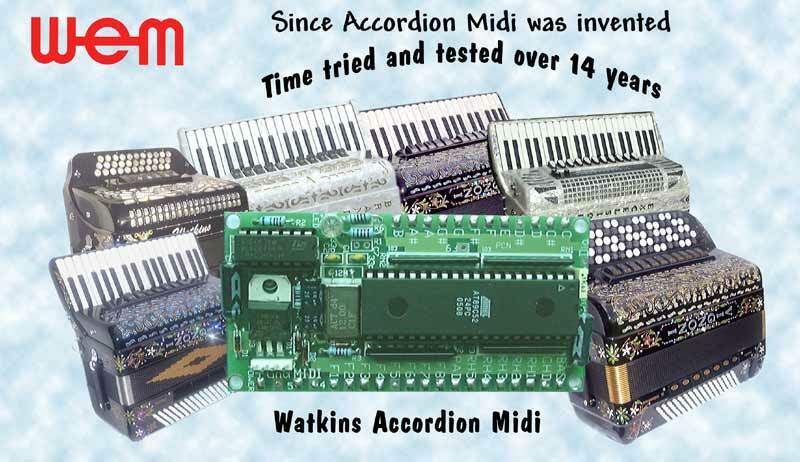 Technical details & Instructions for the WEM Accordion MIDI Interface here.